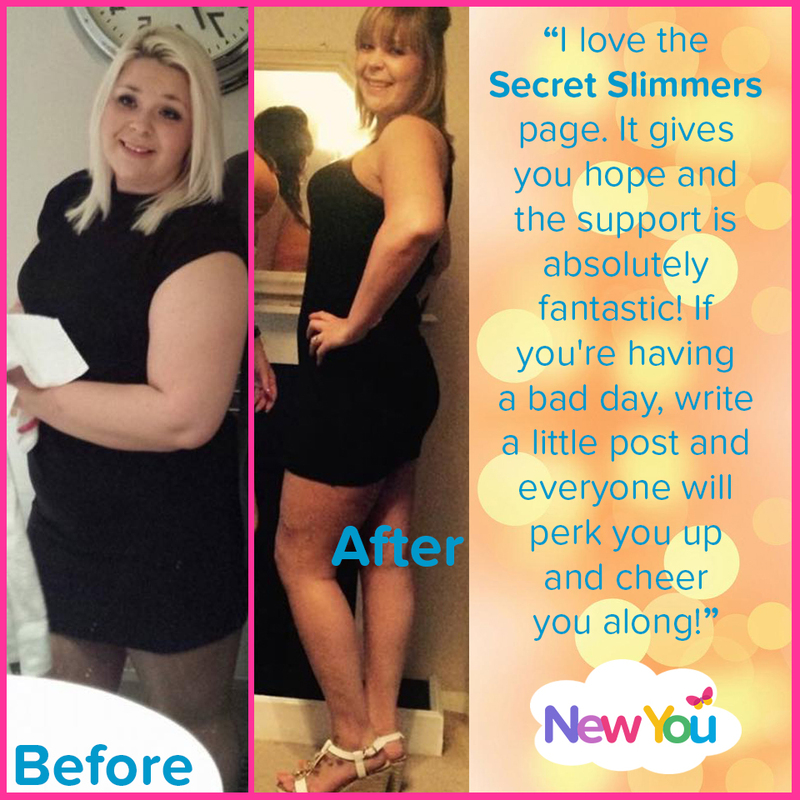 We love hearing the progress of our customers and so we were delighted to hear about Hannah’s amazing journey! In just 10 weeks so has lost an astonishing 4 stone 1 pound, dropping from a size 18 to a slinky size 12! She is proof that with the perfect combination of motivation, determination and New You Diet Meal Plan, amazing weight loss is achievable! Her newfound confidence is wonderful to see and today, she shares details of her success. Hannah, tell us when you started the plan? What was it that finally led you to getting started? 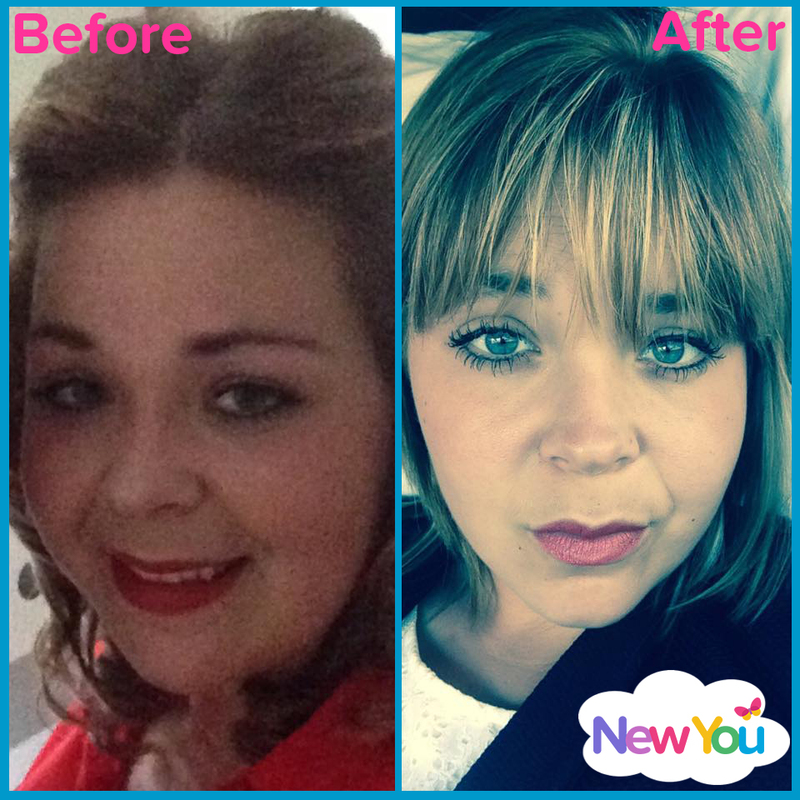 I started New You on the 25th may. I was told by the hospital that if I wanted to have IVF I had to loose some weight. I had already lost 1st 9lb being sensible but I needed a quick fix before I returned to the hospital in September. I couldn’t quite believe that weight could make such a difference to fertility! What were you hoping to achieve from The New You Plan? I was told by the hospital that I had to loose another stone and half. I was only expecting to loose maybe a stone but the results are fantastic! I would love to get another stone off by September 10th as that’s D day at the hospital! I need to be as skinny as possible for then. I have proved to myself that I can do it and the weight will never go back on! The New You Plan has changed my life in so many ways. For one I’m half the size I was. Secondly, I have so much more confidence and thirdly, I’m smaller than what the hospital have asked me to be. Even the DPD delivery driver has noticed a massive difference! I was going on holiday with some friends and I didn’t want to be the fat bird in a bikini. I eventually bought a bikini and still wasn’t too pleased with it until I got on holiday. It looked fab! I love the Secret Slimmers page. It gives you hope and the support is absolutely fantastic! If you’re having a bad day, write a little post and everyone will perk you up and cheer you along! It’s also great that it’s a secret group so none of your family or friends can see what you are posting. Luckily I haven’t needed customer service but the team are always there on Secret Slimmers to help with questions if needed! The service with ordering and delivering is beyond amazing. My favourite Snack has got to be, hands down the Salt and Vinegar Crisps. They are beauts! I like all the Bars but my favourite is the Muesli Bar – to die for! I can’t wait to try the new Tropical Coconut Flavour Bar. Everyone has been raving about it on Secret Slimmers. Yes! In particular I love the Berry Blast with sparkling water. The only tips I really have are to stick to your 4 meals each day and drink 4 litres. If you’re hungry drink more water and if that doesn’t help, have a nice bath and go to bed early. If you’re feeling rubbish just write a post on Secret Slimmers. They always encourage you not to blip and when you see Slim Story Sundays, you don’t want to blip because you want to reach and share your own goal! When you’re feeling 100% and your body is in ketosis you feel on top of the world. I don’t think I’ve ever had such a clean house – my energy levels have rocketed! I found I couldn’t sleep for longer than four hours a night but that suits me with the silly times I get up for work! I wouldn’t say I’ve done anymore exercise than I would normally but I did invest in a vibro plate and that is great! Tell us about your re-feed journey. How are you keeping that weight off? Before I went on holiday I did the re-feed plan for a week. I was so scared of piling the pounds back on but the guide you get is great and I stuck to that. I actually lost 3lb that week. When I was on holiday there was lots of drinking involved and not much food intake, but the food I did eat was rubbish! I was worried when I came home that I would have put loads back on but I only gained 2 pounds, which came off straight away when I came did a day of TRF. I’m back on the plan until September to get that last stone off and hopefully I’ll b a size 10. The advice I would give someone is you can do it! Don’t do it for anyone else but yourself. Learn to love yourself and be happy! If like Hannah, you want to start your very own weight loss journey, get started today with our amazing 6 Week Summer Slim Down Bundle! Shop our amazing 6 Week Summer Slim Down Bundle and save 64% today! Hannah’s amazing journey is very inspirational. She looses 1 pound for 10 weeks. She looks great. She has disciplined on her diet that is why she got the results on losing weight. I want to know more about “Secret Slimmers.” I am into Venus Factor Program and it works for me to manage my ideal weight.